“Let me teach you how to fight witches,” (Kindle Location 655). What if the Salem Witch Trials actually did capture and kill witches? What if, many many years later more witches were discovered and hunted and killed? What if the witches banded together to wipe out all of humanity? Cue Salem’s Revenge and David Estes’ series about witches. Brew begins with Rhett Carter, your slightly off average black football playing book lover with a soft spot for others and a penchant to avoid violence. Add in his best friend who’s gay, Xavier and Beth the girl Rhett loves. When their world falls apart at the beginning of the Revenge, Rhett will do anything to find his two best friends, even learn to hunt and kill witches from his neighbor. I don’t read books about witches. I stopped reading books about wizards when I was in high school but I had confidence in David Estes that he could write a book that I would love. I was right. Estes has a knack for building a story that anyone would love, even if the parts aren’t normally what you want to read. Witches. Sure. Wizards. Certainly. The main part of the story is the main character’s journey, how Rhett Carter exists and survives in this world of chaos and paranormal. His story is written well and his relationships with his friends, so briefly shown in the beginning, and the developing relationships between Rhett and Laney and Rhett and his new dog Hex are what brings the reader into the story and makes the story alive. The first book in the Salem’s Revenge series sets up the main characters and the goal: to save themselves and humanity in the fight between witch gangs to end humans. 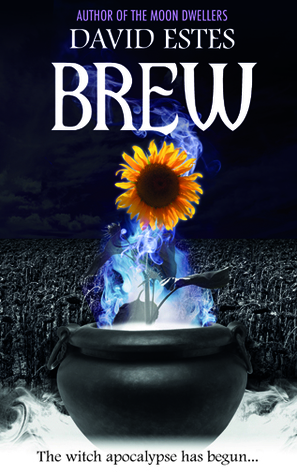 Brew, the first in the series has an awesome end of the book battle that answers and raises questions to be answered with the continuation and conclusion of the series. This book is told from Rhett’s point of view, but the reader gets a real good feel for Laney and many of the other characters. I loved all of the characters and felt that their strengths and their weakness brought them to life. This novel was published by Amazon Digital Services 10/01/2014 and is available on Amazon here. ← Miscellaneous Mondays: Costume Potential?